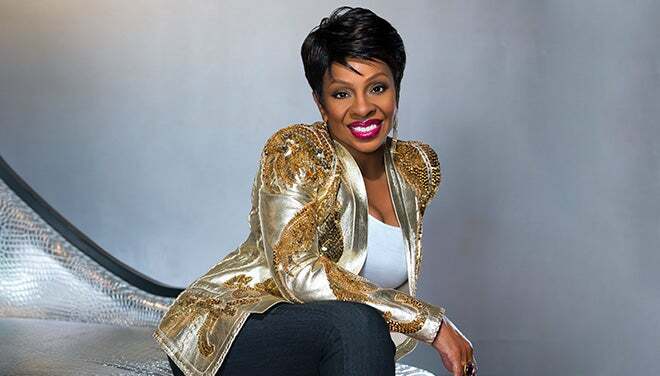 Greenville, S.C. – The Peace Center presents An Evening with Gladys Knight on Tuesday, Aug. 20, at 7:30 p.m. The great ones endure, and Gladys Knight – known as the “Empress of Soul” – has long been one of the greatest. Very few singers over the last 50 years have matched her unassailable artistry. This seven-time Grammy® winner has enjoyed No. 1 hits in pop, gospel, R&B and adult contemporary, and has triumphed in film, television and live performance. Gladys Knight & The Pips debuted their first album in 1960, when Knight was just 16. With Knight singing lead and The Pips providing lush harmonies and graceful choreography, the group went on to achieve icon status. Top 20 hits, like “Every Beat of My Heart,” “Letter Full of Tears,” “I Heard it Through the Grapevine” and “If I Were Your Woman,” set the stage for an amazing run. Top 10 gold-certified singles like “Neither One of Us (Wants to be the First to Say Goodbye),” “I’ve Got to Use My Imagination,” “Best Thing to Ever Happen to Me” and the No. 1 smash “Midnight Train to Georgia” established Gladys Knight & The Pips as the premiere pop/R&B vocal ensemble in the world. Tickets for the Tuesday, Aug. 20, 7:30 p.m. performance of An Evening with Gladys Knight are $65-$85 and may be purchased by calling 864.467.3000 or 800.888.7768, in person at the Peace Center Box Office or online at www.peacecenter.org. Tickets go on sale to Peacekeepers beginning now and go on sale to the public on Friday, April 19, at 10 a.m. Service fees will apply to phone and online sales.